My parents died four years ago, at ages 86 and 88 — within a week of one another. For years, Mom and Dad had made it clear to the six of us “kids” that they were grateful to have lived long, full lives, and they were completely clear and unsentimental about being quite ready to go, thank you, when the time came. They even took pleasure in bringing up the subject; the running joke was that Dad would begin, “In the event of my demise…” and we’d all clamor to shut him up. "It turned out that chocolate shake was the last thing Mom ate or drank." In the event, they failed precipitously and in synch… and his demise came first. On the day of his funeral, December 28, Mom rallied for the occasion. She put on her black Chanel suit and her gold earrings; after the funeral, on the top step of the church, as the honor guard played taps on a foggy, chilly day, she sat in her wheelchair looking out to the Jersey Shore beyond — where she and dad had met as teenagers one summer 75 years earlier. After the soldier presented Mom with the carefully folded American flag, my daughter and I helped maneuver her into my car for the short drive back to the rehab facility. She refused to put in even a brief appearance at a little reception after Dad’s funeral; she was “weak as a cat” (as she always put it) and the funeral had done her in. As were we driving along, suddenly Mom said, “Take a right at the light.” Huh? “I want a chocolate milkshake.” I took a right, as ordered. Her favorite ice cream shop looked closed. “Try the door, Rachel.” Rachel tried the door, as ordered. Closed. Next stop: Wendy’s — jackpot. Mom was too weak to drink the shake through a straw, so Rachel fed her spoonfuls from the backseat as we drove along telling stories about hilarious Monday night dinners (the night Dad worked late, so we didn’t have to eat in the dining room) when I was a kid. We arrived at rehab, got Mom all set back in her room, kissed her goodbye, and headed back to Dad’s post-funeral reception. It turned out that chocolate shake was the last thing Mom ate or drank. We didn’t know it at the time, but she did: she was done. She simply stopped eating and drinking. Her doctor tried a couple days of IV nutrition, but she didn’t improve. He called me and suggested transferring her to the hospice floor in the hospital. He said, “Your mother’s a nurse; she knows exactly what she’s doing. She’s made it very clear what she wants.” It was up to the family, he said, to decide if we were ready to honor her wishes. We did; Mom died on January 2, with my brother, sister, and me at the bedside and Frank Sinatra singing “Summer Wind” on the tape player. Jane Roessner, PhD, is a writer at the Institute for Healthcare Improvement (IHI). She is a Senior Editor on IHI’s Publications Team, supporting IHI faculty in their efforts to publish their work in peer-reviewed journals. Since September 2001, she has been involved in all phases of the design and development of IHI’s website, IHI.org. 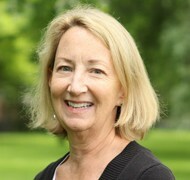 Roessner received her BA degree from Wellesley College and her PhD degree from Boston College.